Lithium manganese oxide (LiMn2O4) powders with particle sizes in the range of 100 nm – 600 nm have been synthesized through glucose-assisted combustion synthesis. 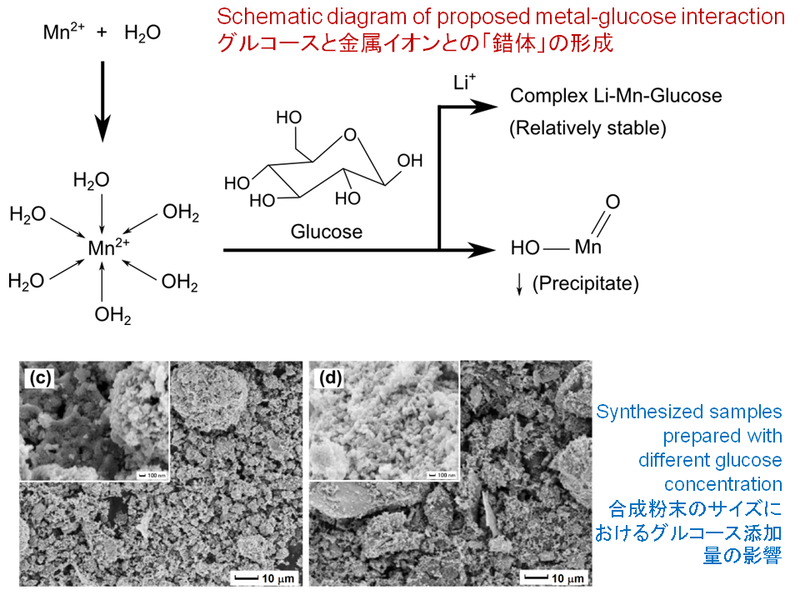 The presence of glucose increases the stability of the precursor solution, purity of the heat-treated powders, and decreasing on size of the synthesized particle. by Pramujo Widiatmoko#, Doris Nekesa Khaemba#, I. Wuled Lenggoro (# equal contribution). Pramujo was a doctoral student, now with Dept. of Chemical Engineering, Institut Teknologi Bandung (ITB, Indonesia); Doris was a bachelor student, now with Univ. of Leeds (UK) as Marie Currie Fellow.